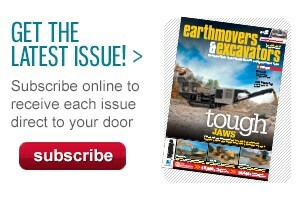 Earthmovers & Excavators issue 333 is on sale now and is loaded up with the very latest news, reviews, and new and used equipment for sale. 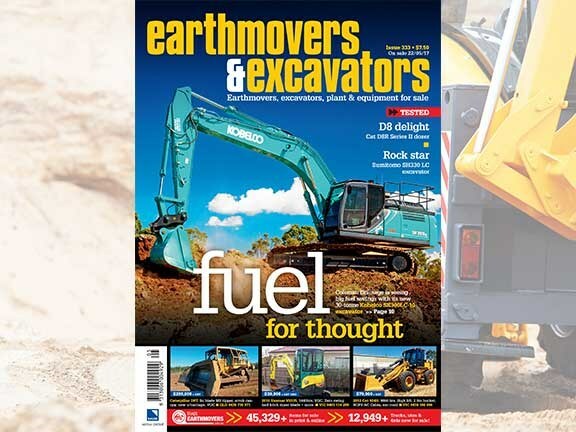 On the cover this month is the new Kobelco SK300LC-10 excavator, the first of which was delivered to Queensland’s Coleman Drainage who says the new model keeps fuel use minimised and the power maximised. The Diesel, Dirt & Turf Expo returned to the Penrith for the second year running and was even bigger this time around. We sent Brad Lockyer along to the show to get the pick of the action. The new Teleskid from JCB is a truly innovative machine, combining the base of a skid-steer loader (or compact track loader) with the forward reach capabilities of a telehandler. 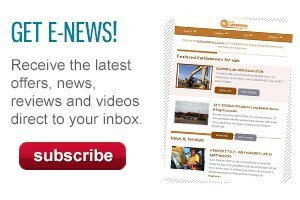 The JCB Teleskid is sure to shake things up in the industry.